Contrary to remarks by Iranian lawmaker, diplomats say they have no information that Tehran halted 20 percent uranium enrichment. Contrary to remarks made this week by an Iranian lawmaker, diplomats accredited to the UN’s nuclear watchdog said on Friday they had no information that Tehran has halted its enrichment of uranium to a 20 percent, reports Reuters. An envoy in Vienna, where the International Atomic Energy Agency (IAEA) is based, said he believed Iran was continuing to refine uranium to the 20 percent threshold despite the Iranian lawmaker's comment. 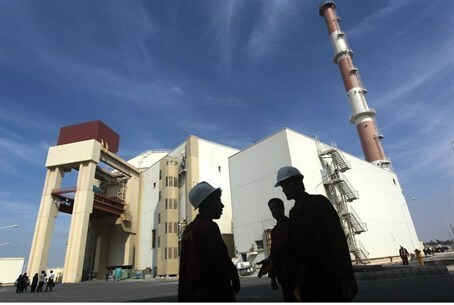 On Wednesday, Hossein Naqvi Hosseini was quoted by an Iranian news agency as having claimed that Tehran does not need any more 20 percent-enriched uranium and that Iran was willing to relieve concerns over its stockpile of enriched uranium. Hosseini is not a government spokesman nor a member of Iran's nuclear negotiation team, but his comments touch on a major concession wanted by Western powers in talks with the Islamic Republic. The IAEA, which regularly inspects Iranian nuclear sites, has declined to comment on the issue, but several diplomats from member states said they were not aware of any such move by Iran. They cautioned, however, that IAEA inspectors are believed to go to Iran's uranium enrichment plants about once a week so it is possible the agency may not yet know of any halt if it only happened in the past few days. The next quarterly IAEA report on Iran will be issued in November. World powers seeking a diplomatic solution to the nuclear dispute with Iran want it to stop the enrichment activity. Iran indicated in talks with the powers that resumed in Geneva last week that it might scale back its program to win sanctions relief. Iran's production and stockpile of 20-percent uranium is closely watched in the West and Israel. Tehran denies allegations by Western powers that it is seeking the capability to produce nuclear arms. Meanwhile, a new report published Thursday by the Institute for Science and International Security (ISIS) has warned that Iran could produce enough weapons-grade uranium to build a nuclear bomb in as little as a month. David Albright, ISIS president and a former inspector for the IAEA, said the estimate means that Iran would have to eliminate more than half its 19,000 centrifuges to extend the time it would take to build a bomb to six months. ISIS has in the past produced satellite imagery which proves that Iran was making alterations to the Parchin complex, a military site that the IAEA says was possibly used to test conventional explosive triggers for a nuclear blast.